My research assistant position at Michigan Tech gives me an opportunity to not only work hard but also to work smart and efficiently towards my goals. I feel satisfaction and pride when helping and as a member of my research group. 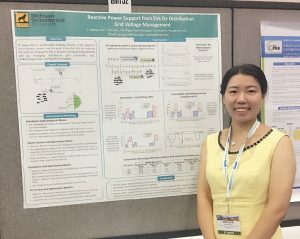 For my PhD research, I am working on demand response, optimal power flow, integration of distributed energy resources, improving computational performances on large-scale power grids with decentralized approaches, and developing Hardware-in-the-Loop simulation on large-scale transmission and distribution systems with Opal-RT, GAMS and Raspberry Pi server. As a teaching assistant for two years in the past, I have learned that I should not only lead students and help them with problems, but also encourage and motivate them through open communication. By doing this, students show great enthusiasm for their study, which I find incredibly rewarding. 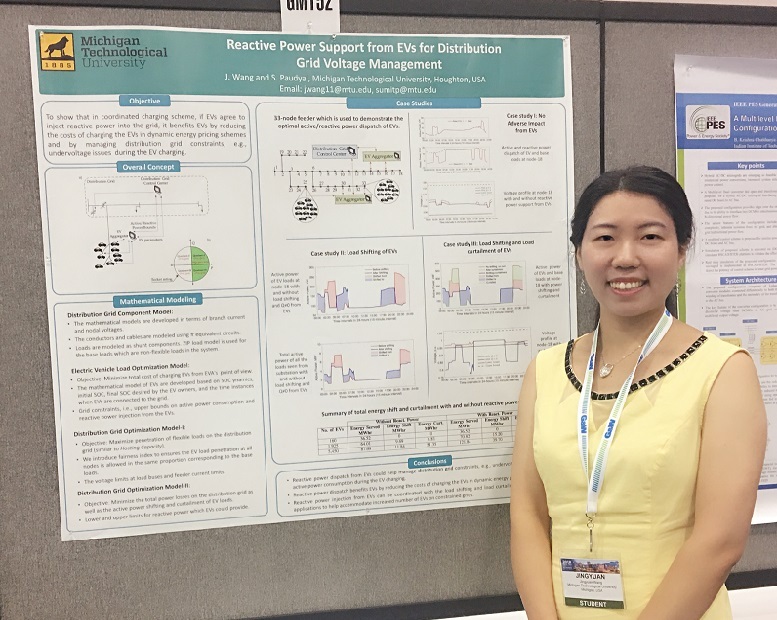 Also, as a member of Society of Women Engineers (SWE), I communicate with female engineering alumni from Michigan Tech and learn a lot from them, such as how to balance life, work and family, and how to successfully deal with the issues that I will encounter as a female engineer in the future. I would like to thank the Electrical and Computer Engineering Department and the Graduate School for funding my academic endeavor. I would like to thank my PhD advisor, Dr. Sumit Paudyal, for supporting me in the past five years. I appreciated every single insightful discussion about my research with him and every single piece of suggestion that he ever gave me.